After last year unveiled its coupe Wraith designed as a link between cars and high fashion, this year Rolls-Royce has made the same for convertible Dawn. “Inspired by” is the project with which Rolls-Royce wants to get closer to younger buyers, so last year introduced the Wraith “Inspired by Music”, but also “Inspired by Fashion“. That especially designed Wraith toured the fashion industry experts, journalists and designers at the presentation identical to those in which only selected can see the new fashion collection. 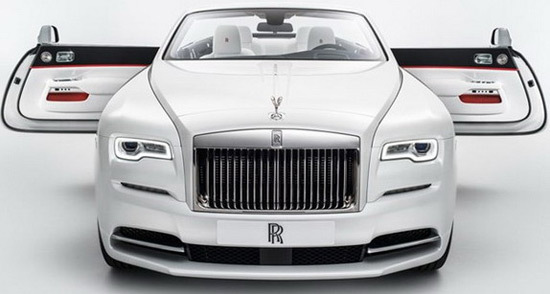 Rolls-Royce is now going the same way with their latest model convertible Dawn. Dawn Inspired by Fashion is available to interested buyers, and it is the white car in which contrast make up the color of the roof and interior details in Mugello Red, Mandarine Orange and Cobalt Blue. 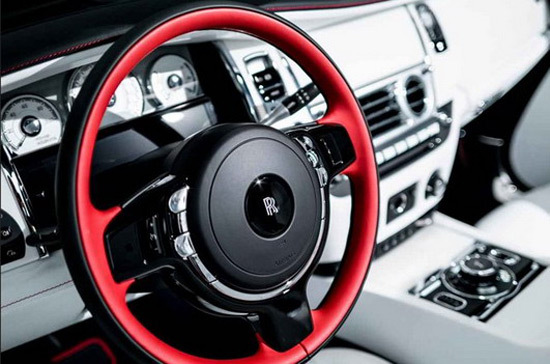 For the presentation of the edition “Inspired by Fashion”, Dawn Rolls-Royce chose for a contrasting visual component of car – a striking red Mugello Red color that highlights the elegant lines of this convertible. Of course, owners will receive a special label that shows that their Dawn belonges to “Inspired by Fashion” edition.